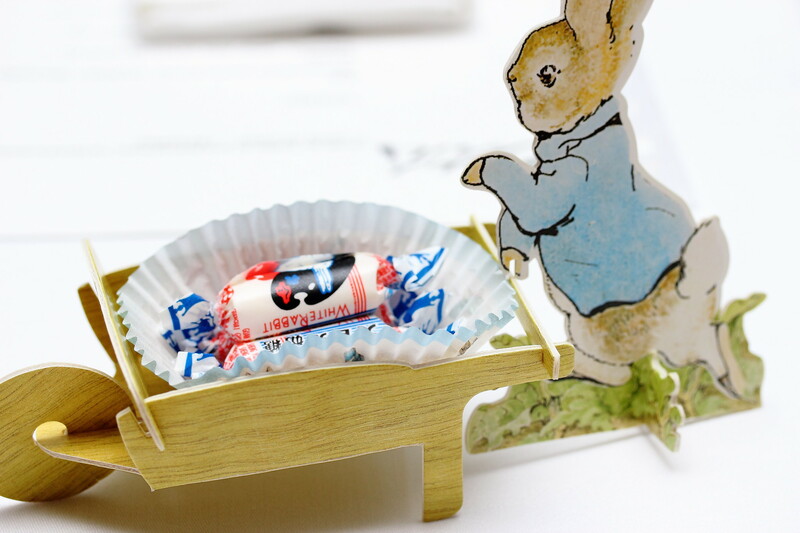 Rabbit Stash which used to be located at an old shop house along Alexandra Road has moved to its new premises at the roof top of Wangz Hotel in Tiong Bahru. Helmed by Chef Matthew, who is born in the year of Rabbit which explains his choice of the restaurant name. Today I am at Rabbit Stash to experience the seasonal menu inspired by the 7 characteristics of Enosphi (Soil, Pristine, Ocean, Nostalgia, Impression, Heritage, Exotic), using a combination of classic French techniques along with a touch of Asian and Singapore flavours. Before commencing on our dinner, we were presented a snack platter which is immediately brought back memories of my dining experience at Jaan. This is simply art on a plate. 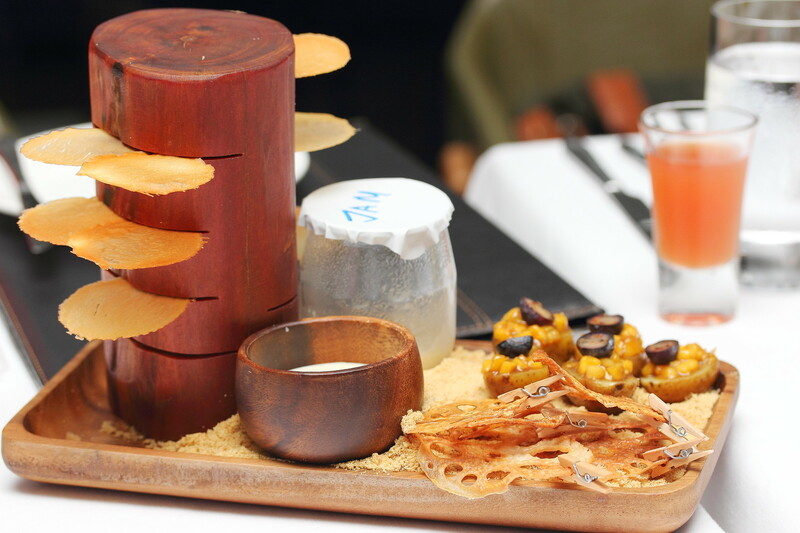 On the plate we have potato chips on wooden trunk, yam milk jam, lime mayonnaise, lotus chips, baby potatoes with mango and blueberry. We soon embarked on a visual and gastronomic feast starting with Soil. 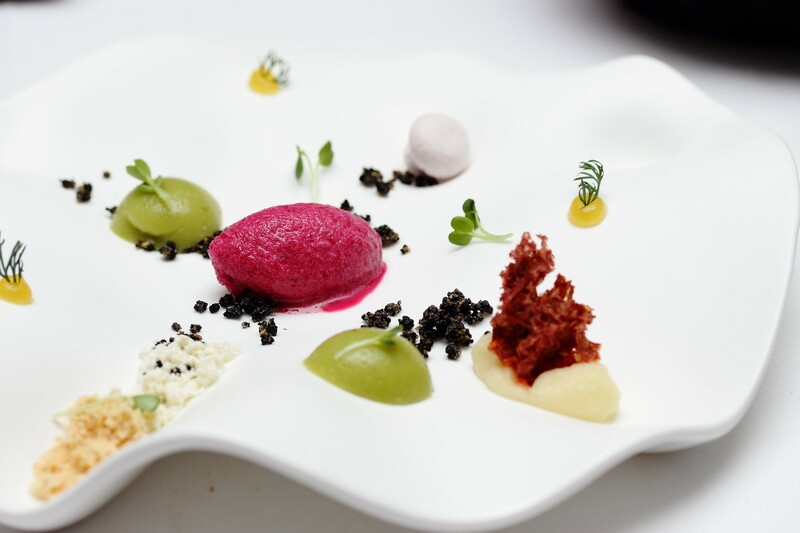 The garden on the plate consists of asparagus pudding, beurre noisette, beetroot "mushroom" and olive crumbs. It felt like a garden blooming with beautiful flowers and I was worried about stepping on them. It took me a while before deciding to explore the beautiful garden, delicately appreciating each elements. 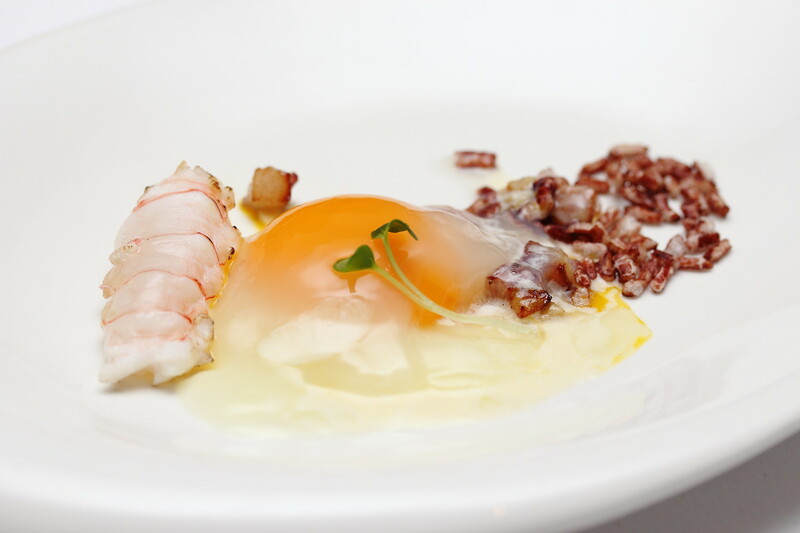 The journey continues, bringing us to Pristine consisting of langoustine, cabbage dashi, 1st born egg and brown rice. Actually I was a little disappointed with the presentation after having seen what the kitchen is capable of. I could not really figure out the inspiration behind the dish but the langoustine is definitely one of the sweetest I ever eaten. Inspired by Chef Matthew loves of diving is the Ocean. The plate consists of scallop. black ink sponge, smoked trout, shrimp and chips. The shrimp with banana mash in the oceanic view caught the attention of my palate with its interesting combination which tasted actually like our local fried banana fritter or goreng pisang. 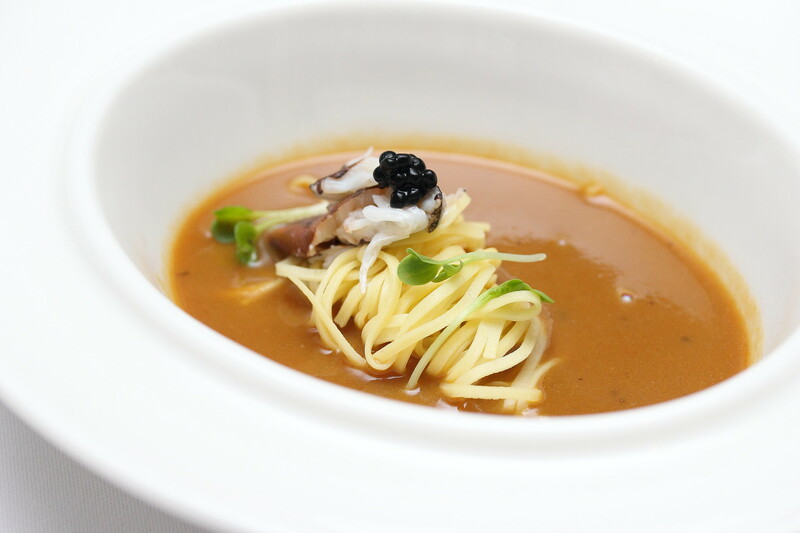 Nostalgia is the next dish which comes with a rich lobster broth, purple crab, handmade noodles and black roe. Chef Matthew is well travelled and the next dish Impression is a reflection of his impressions of the food, people and culture from his travels abroad. Another beautiful presentation consisting of berkshire pig, granny smith, potato "mud" and watermelon. 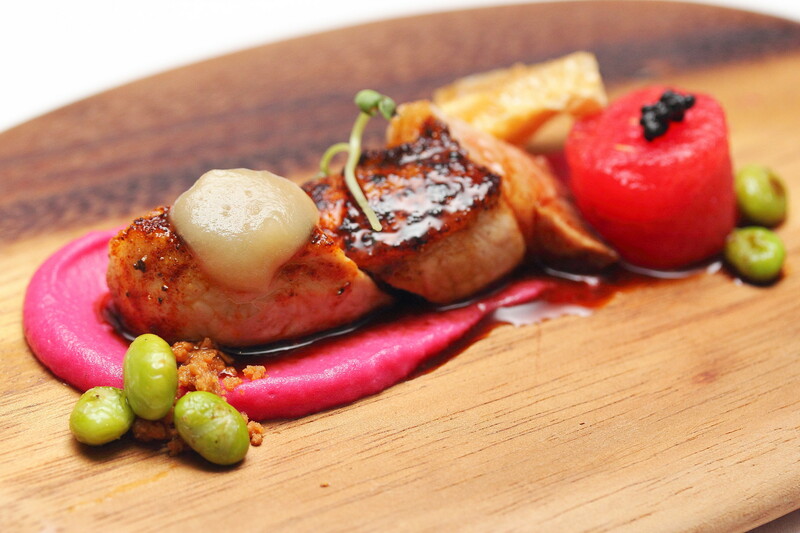 The Heritage is Chef Matthew's way of recreating the familiar taste and ingredients in a different way. 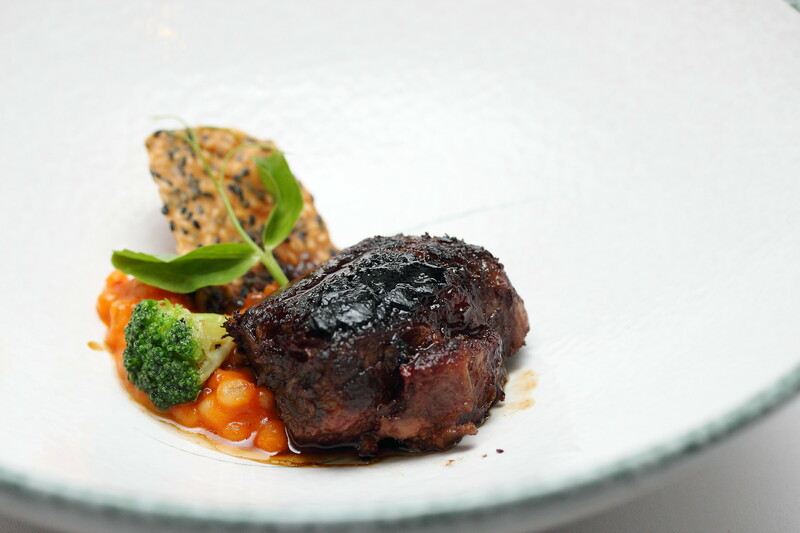 The interesting reinventing consists of beef jowl, port-soy, barley porridge and red date. The beef jowl was so soft that it literally melted in the mouth. 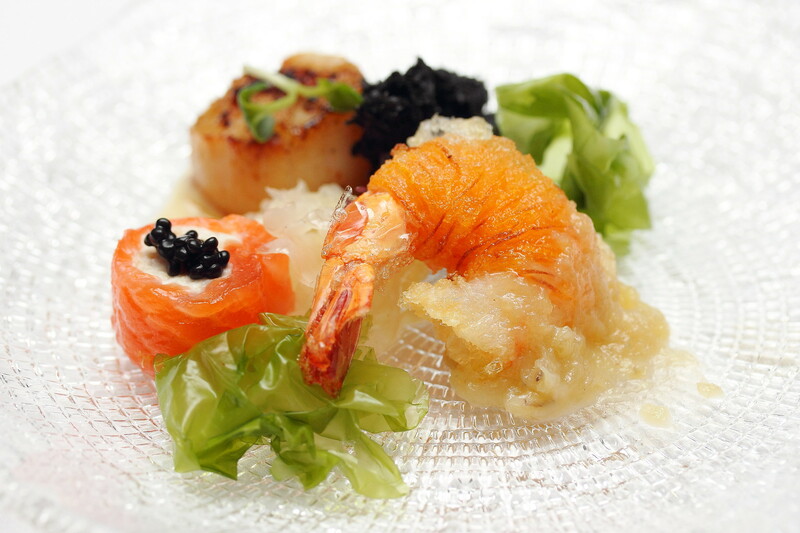 When I was introduced to the menu, Exotic caught my eyes with its unique flavour pairings with simple ingredients. I was eagerly waiting to try the green curry gelato. This is really unique. However having it alone maybe a bit overwhelming hence the thought of pairing with mango fromage blanc and snow wine pear gave it a good balance. 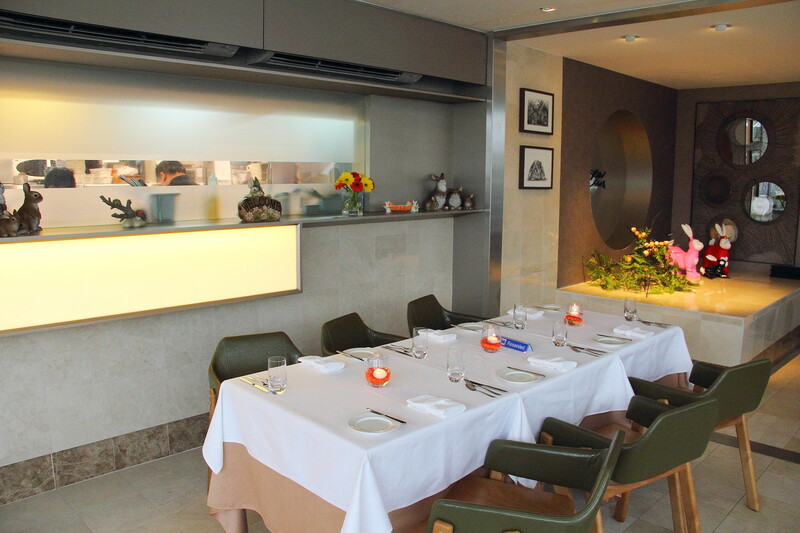 The new premises at the rooftop of Wangz Hotel spots an intimate 30 seater indoor dining room formed around a semi circle with floor to ceiling glass windows for a 180 degree view of the city. 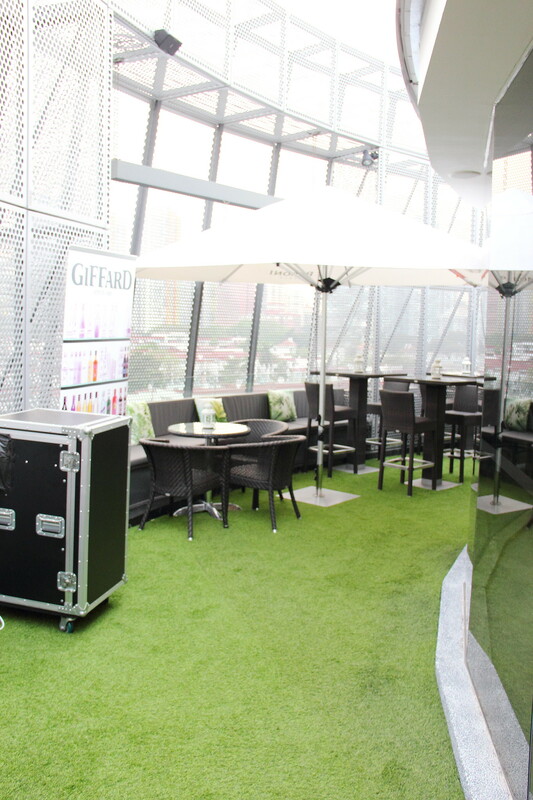 It has comes with a outdoor rooftop terrace in a lush alfresco garden setting. 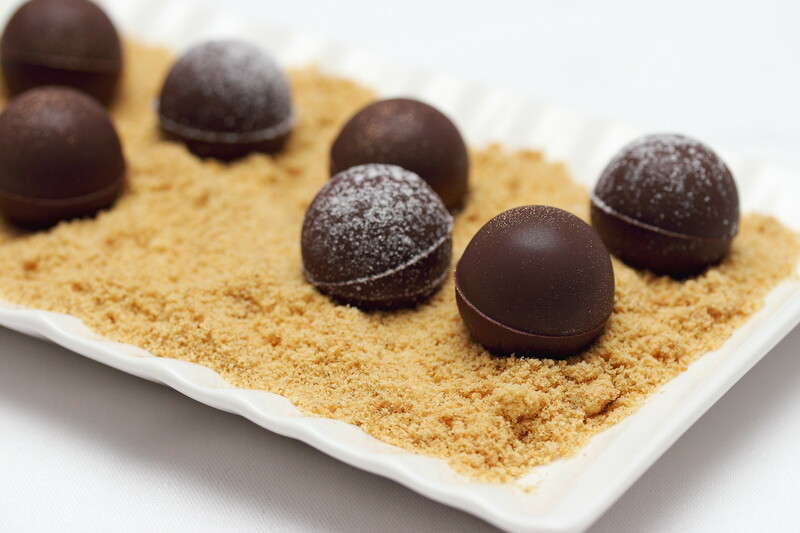 Embark on a magical journey like Alice in gourmet Wonderland. Satisfying the craving and curiosity at the Rabbit Stash. Once you find the hideout, it will be hard to turn back. 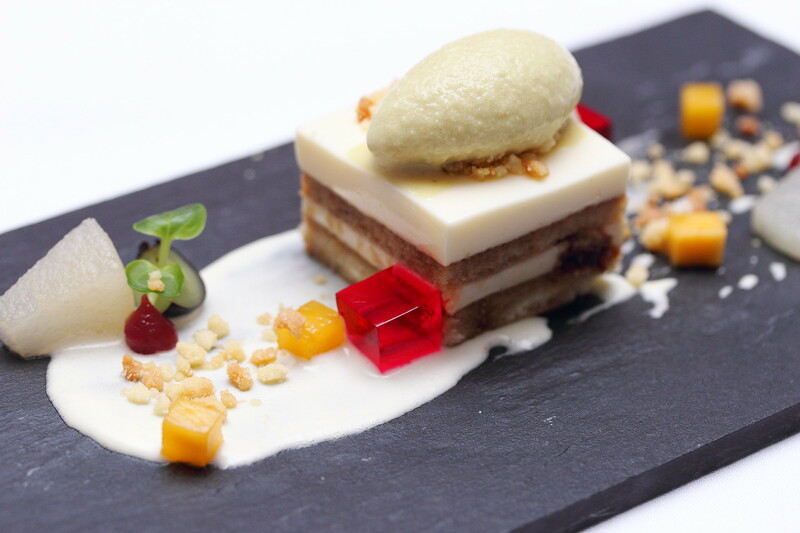 Dining at Rabbit Stash is like a visual and gastronomic feast where food is art and art tantalizes the taste buds and senses.